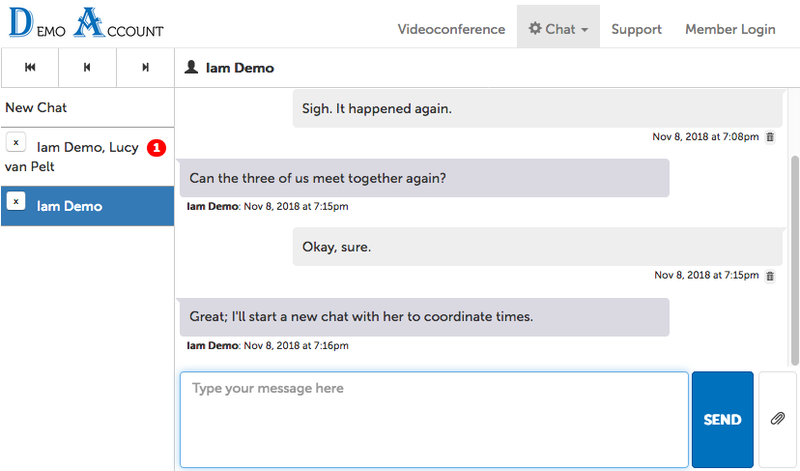 This support article illustrates how to respond to a chat invite. 1a. While logged into your account, click on the "Chat" tab along the top of the page. If there are unread messages, there will be a red badge number on it. 1b. Or, if you definitely have unread messages, click on the "unread notifications" message in the lower right hand corner of the page. 2. You will land on the last read chat thread by default, where you can view unread messages, if any. If you have any other chat threads with unread messages, a red badge will appear on the chat group to the left, with a number indicating how many unread messages there are in that thread. Click on a chat group to view that thread. 3. 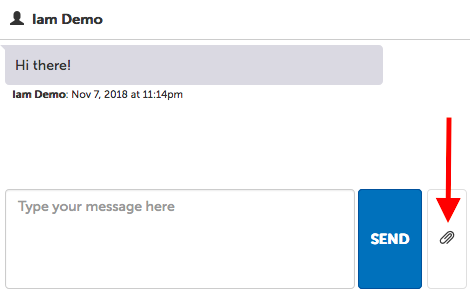 After clicking into the chat thread you want, enter your reply into the textbox at the bottom of the page and click "Send". 2. 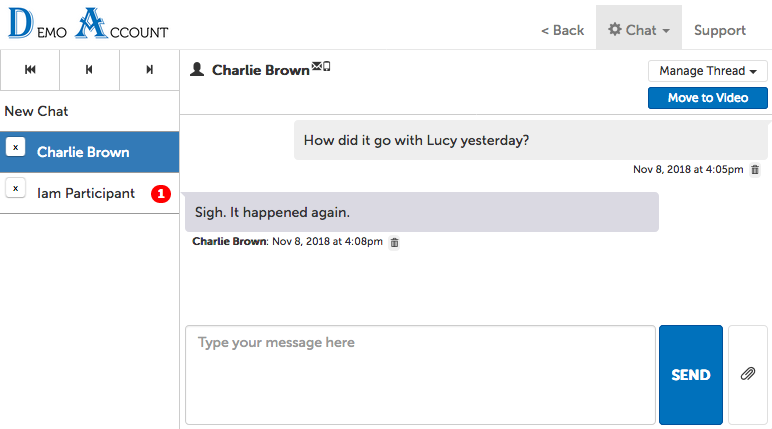 If you have multiple chat groups, you will land on the last read chat thread by default, where you can view unread messages, if any. If you have any other chat threads with unread messages, a red badge will appear on the chat group to the left, with a number indicating how many unread messages there are in that thread. Click on a chat group to view that thread. 3. Enter your reply into the textbox at the bottom of the page and click "Send". 2. You will land on the last read chat thread by default, where you can view unread messages, if any. If you have any other chat threads with unread messages, a red badge will appear on the chat group to the left, with a number indicating how many unread messages there are in that thread. 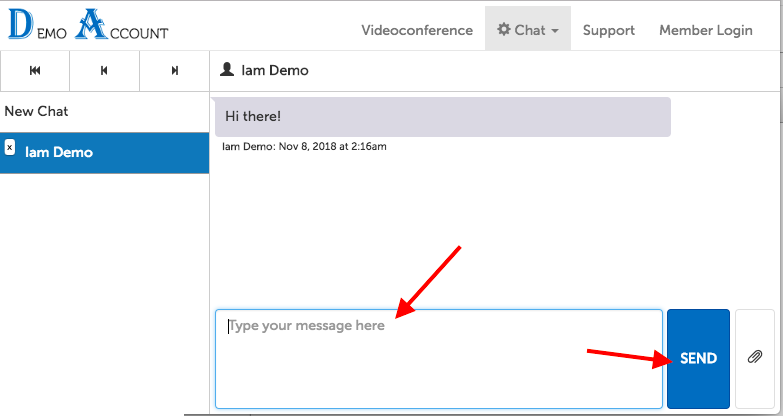 Click on a chat group to view that thread, then type your reply into the textbox at the bottom of the page and click "Send". 1. If you are on a waiting room page for a video session, click on the "Chat" tab along the top of the page. OR the "unread notifications" message in the lower right hand corner of the page. 2. You will land on the last read chat thread by default, where you can view unread messages if any. If you have any other chat threads with unread messages, a red badge will appear on the chat group to the left, with a number indicating how many unread messages there are in that thread. Click on a chat group to view that thread.